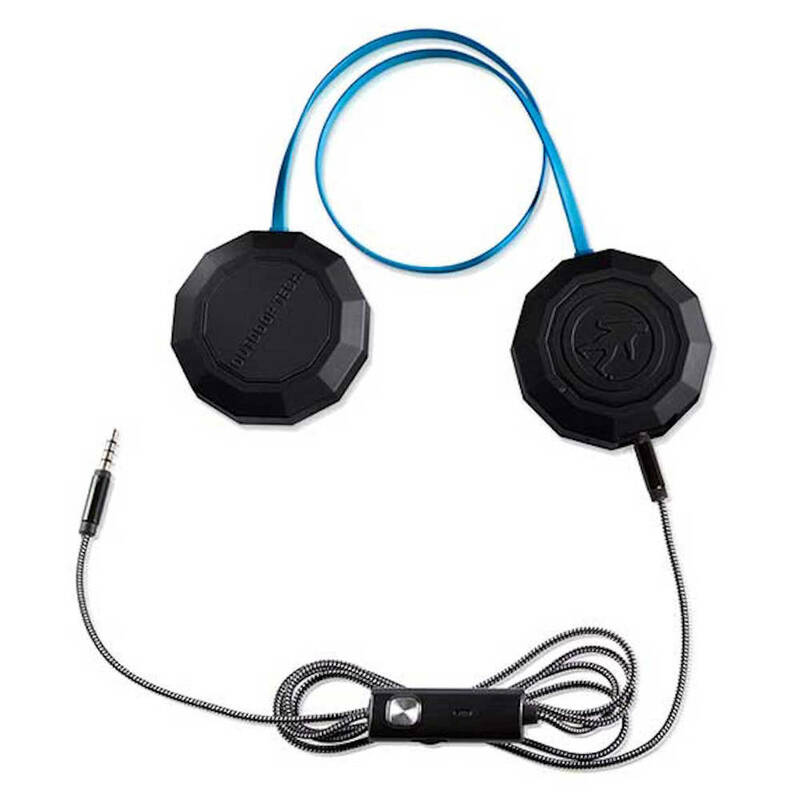 These are the Outdoor Tech Wired Audio Kit for Snow Helmets. A universal audio kit for your helmet. Drop these into your audio liner and never take your gloves off again. Your experience of the universe will soon be enhanced by the slick button controls and awesome audio quality. The Wired Chips® are the best universal helmet audio system for ski and snowboard helmets. Drop them into any helmet with an audio liner and using the rugged audio control cable, you can have your brain bumping to the tunes. These Wired Chips® provide unsurpassed helmet filling music effortlessly from your audio device. The glove friendly inline controls allow you to mute, adjust volume or answer phone calls easily. Basically it is all you need to have a good time while on the hill. Well maybe some skiboards would be nice too. Also maybe some clothes. Nobody wants to see that. The Wired Chips® come equipped with full range 40mm drivers set solidly in the disk shaped casing. This housing allows for better in-helmet acoustics creating the best Hi-Fi experience in the business. Answer your next call without removing your helmet or your gloves using the built in microphone. No more fishing in your snow pants for your phone, or pulling off your mittens and helmet. The Wired Chips® are compatible with helmets from the following manufacturers that have slots for audio drop ins: Bern, Giro, Smith, Anon, Pro Tec, Salomon, Bolle, and many more. – Rugged, minimal design fits into virtually any helmet designed for audio drop-in systems. – IPX-4 sweat and water resistant. – Tested to work perfectly at -20°C/-4°F. – INCLUDES: Rugged Line-in Audio Cable with Mic & Controls, ODT Logo Carry Pouch, User Manual, and Stickers.